If you're ready to learn music production secrets and eventually make money from producing, this could be for you! We've teamed up with Kevin Barnes to bring you something special. If you don't know Kevin he's a producer that's made beats for chart topping singers Mario, Chris Brown, Faith Evans, Jordan Sparks, and loads more. He's been in the music industry for over 20 years and has also worked alongside top producers including Scott Storch! Kevin has decided to share this course with my readers at the link that I'll share shortly. 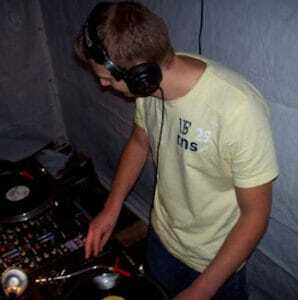 Music production has never taken top spot for me, I'm a DJ through and through, but I do consider myself pretty good at producing. I've been producing since 2009, but I've actually taken Kevin's course myself and it's changing the way I produce. The way everything is explained is top quality, and there are hours of tutorials included. So for anybody looking to learn music production, or anyone that's struggling, this course comes highly recommended by myself. Below you'll find a quick run through of what's in the course, which is a lot, it will take you a while to get through for sure, but it's worth your time believe me. And you'll find a link to jump over to Kevin's website where you can find out even more, and get to it. But before you go any further, let me just warn you, this is not for anybody that expects miracles. If you really want to learn music production here, you will have to put the time in, as with any course, or any thing. 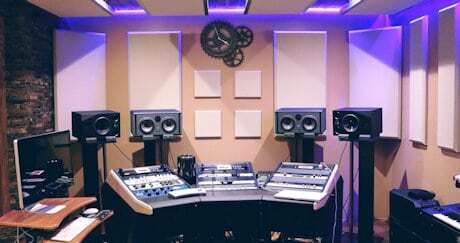 But once you do learn music production, and a few other things in this course, you could make a very good living at it! Kevin's course how to make better beats like superstar music producers quickly, does exactly what it says on the tin! You'll learn how to make beats exactly like DJ Mustard, Drakes producers, Chris Browns producers, and futures Producers. Each producers style has its own section in the course, with tips you can use in your own beats. These tips will force your beats to stand out amongst the best, so you can instantly become a hit maker. You probably already realise that to learn music production without being shown directly is hard, right? So this course includes over 5 1/2 hours of video you will be able watch as many times as you like to help you learn, with step by step instruction. There's even a little bonus with even more video instruction and tips that we'll get to later. These videos include music production secrets of the most successful music producers on the planet. They're designed to help you learn music production easily and give you the ability to create beats like a pro. It's a bold claim, but Kevin teaches you how to be good enough to even have a career in music production! When I give you the link you'll see written in his own words - you can become a known and respected music producer! The course also teaches you how to eliminate beat-block. This is something I've experienced, you may have experienced it yourself if you've already tried producing. This is when you struggle to create new melodies, fresh sounding drum patterns, etc. This course will have you creating melodies and drum patterns that stand out in your beats easily. You'll learn how to create professional melodies and how to sequence your beats in a creative way. There's two exclusive piano lessons from Kevin himself, showing you hands on chords you can put into your own beats. You'll get lessons on how to stack your drums like a professional music producer. And how to create hit drum patterns that make your productions stand out. Kevin will show you how to arrange your beats like a professional music producer, and how to transition your beats effectively. And secrets on how to make trap, pop, and R&B melodies that will make your beats magnetic to listeners. You'll also get Kevin's hand crafted Dynasty Drum Kit that contains over 40 exclusive drum sounds. You'll get kicks, snares, hats, and loops that make every beat stand out. Kevin's also included the Damage piano loops kit: Hit piano loops in a box. You can use all of these royalty free loops in your productions in any way you please, chop them down, speed them up, etc. The Piano Chord Secrets For Music Producers course is also thrown in as a bonus. This teaches you how to play chords and melodies in your productions like Scott Storch, as mentioned earlier a top producer that Kevin has worked with. It also teaches you how to create your own chords so that you will never run out of ideas. And there's exclusive practice routines that will have you mastering playing chords in just a few days. Kevin also tells you the ultimate secret most producers will never discover about adding chords to their beats. How do I get my beats heard after learning music production? Kevin kindly offers you 30 of his personal Tv/Film, industry contacts you can use to send your beats to for placements! You could get your music played on TV shows or films and even with big name artists. There's also another hour long video course including tips for exactly what Kevin did to get his music placed with Chris Brown. Kevin explains the best, quickest, and easiest way to get major placements, and how to become a top producer worldwide. And one simple trick that will skyrocket your chances of getting your music placed. He'll also show you how to avoid the number one placement killer so many people are making! Along with hidden truths about publishing deals and copyrighting your beats, and stacks more. The next thing you'll get is the Paychecks to profits audio course which includes a massive 10 hours of audio. This is the fun part that teaches you how to finally break free from the 9-5 day job and do music as a business. This is gold for anyone that want's to learn music production and then live off it, this is the stuff nobody else will tell you. Would I take the course? As previously mentioned I've actually got my copy of the course, and I'm implementing it into my productions. I don't need to learn music production from scratch as I've been doing this for a long time, it's a totally different method to what I've been using, but, I like it. Whether you need to learn music production from scratch or even if you've been in the game for a while, you'll definitely find every part of the course invaluable. 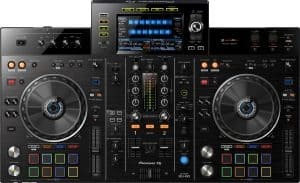 If you've checked out the DJing Pro website you'll know I'm all about DJing, producing is more of a hobby. But after going through the course I could see myself getting into it professionally, and I now have the knowledge to do it. So here's the link you've all been waiting for, jump on over to Kevin's website to watch his video by clicking here. You can scroll to the bottom of his page to watch a bunch of testimonials from people that he's helped learn music production too. Very well put together course. Great value for money, lots on offer for anybody looking to learn music production on a professional level. Built from real professional experience in the industry. Lots or customer testimonial videos to check out before buying. Hosted on ClickBank, the worlds largest digital marketplace. Very long course, this will take you a while to get through. You need commitment to learn music production, as with anything, so this won't suit people that expect miracles. 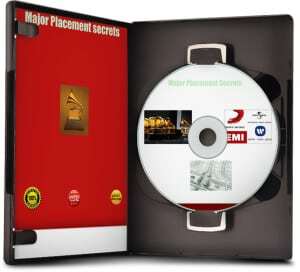 Major Placement Secrets Video Course. Paychecks To Profits Audio Course. Piano Chord Secrets For Music Producers. 100% 60 day money back guarantee. Stay tuned for helpful articles to help you learn music production tips and tricks, coming soon.